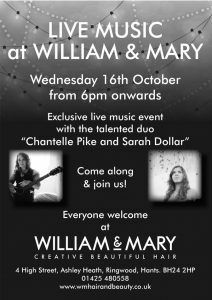 On Wednesday 19th October we are very excited to have Chantelle Pike and Sarah Dollar playing an acoustic set at 7pm. This event will be similar to the one we had last October which worked really well in the salon. Chantelle and Sarah are the very best in local talent and we are privileged and honoured that they agreed to come and play for us and our clients at what promises to be an intimate and exclusive set!!! We can’t wait and we hope to see you all as everyone and anyone is welcome to pop along to this open night!!! 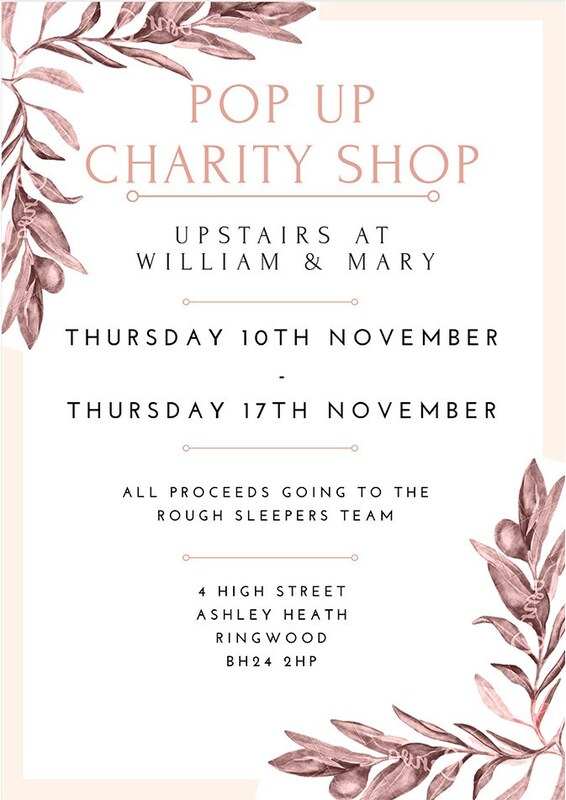 We have a pop up charity shop coming up in November to raise money for the Bournemouth and Poole Rough Sleepers Team. Homelessness is an increasing problem in our local area and the Rough Sleepers team do an amazing job in helping people address their problems and resolve issues which help get them off the streets and into accommodation. This is a charity we all feel passionate about and we have been inspired to support them following Emma and Mary meeting John Bird founder of the Big Issue in the summer. 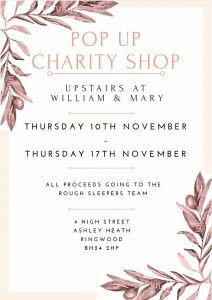 We are accepting donations of men and women’s clothes now from our clients and local people which we will then be selling on at our pop up charity shop upstairs from Thursday 10th November until Thursday 17th November. Please feel free to donate your old (but in good condition!) clothes and / or pop along to browse the rails! 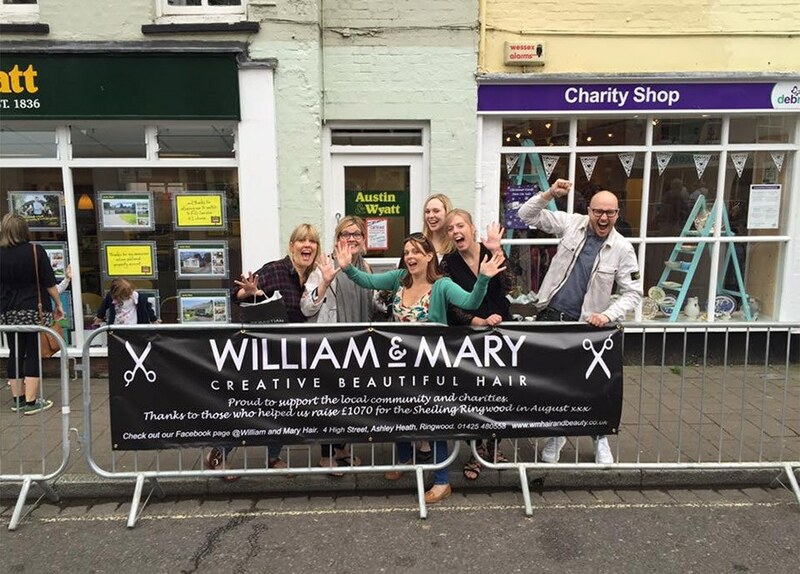 On Saturday 13th August William & Mary Hair Salon in Ashley Heath held their 5th birthday celebration and Charity Day with an Alice in Wonderland themed event. The day included tea and cakes served on the green, a fabulous raffle, with prizes donated by the salon’s clients and local businesses, and the salon staff, wearing fancy dress, were extremely busy carrying out non-stop blow dries for customers with all proceeds being donated to The Sheiling Ringwood. 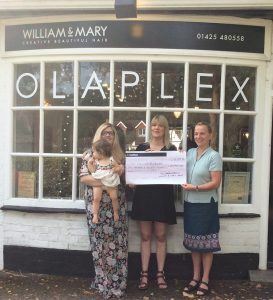 The salon raised an amazing £1075 for The Sheiling Ringwood, an Independent Special School, College and a Children’s Care Home for students with severe, complex and moderate learning disabilities, including autism and communication difficulties. The money will be put towards new chairs for the Assembly Hall which are much needed. We would again like to thank all of you for your support and our amazing staff who put their all into the day and worked so hard to achieve the £1075 we raised!!! Another salon day out happened in September in the form of Ringwood Carnival!! As locals we love this carnival and we were lucky enough to be able to close the salon for the afternoon so that we could all enjoy the procession and atmosphere. Next year we hope to have a float in the carnival and we got lots of inspiration from all the people and floats taking part in the procession. 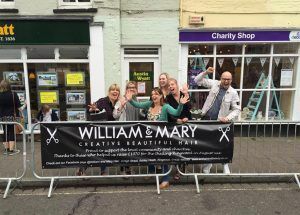 We sponsored the carnival also so it was lovely to find our banner and have a cheeky photograph with us all behind it. Roll on next September! Those of you have been in the last over the last year (yes that’s how long we’ve been hearing about his plans!) will know that Callum went to Florida the Monday after Ringwood Carnival and he had a fantastic trip away. We missed him in the salon and it was very quiet without him so we were happy to have him back, although a bit jealous of his tales from his travels! Before Callum left he completed a week’s ABC course at Sassoon Academy in London, which is one of the best training academies in the world. We send all our staff on this amazing course and it ensures that we offer the highest standard of cutting techniques and trends. Callum really enjoyed his time in London and brings back with him a wealth of knowledge and expertise. Charlotte is attending a course at the end of October at the new Wella London Studios which has only just opened its doors so Charlotte will be one of the first to experience their new premises and facilities. She is doing a red carpet hair course just in time for Christmas which will enhance her already amazing ability for hair ups and going out hair. Charlotte is very excited about bringing new techniques back to the salon so book up for your hair up for your Christmas parties as soon as possible, our Christmas is looking pretty booked already so get in there now with your dates!!! Of course we are not leaving Ashleigh out as she will also be attending the new Wella World Studios in London for a 2 day course in November in coloring which as we all know if her forte. The course specialises in colour change and we have many colour changes in the salon so we will all benefit from Ashleigh enhancing her knowledge so that she can share it with her colleagues and clients. Again just in time for the Christmas rush so if you fancy something new to dazzle your friends and family over Christmas, Ashleigh is your girl!!!! 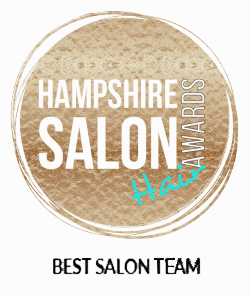 Thanks to all our lovely clients for your support over the last year and we look forward to seeing you at our salon events coming up and during the Christmas rush!!! Get Started. Book An Appointment.